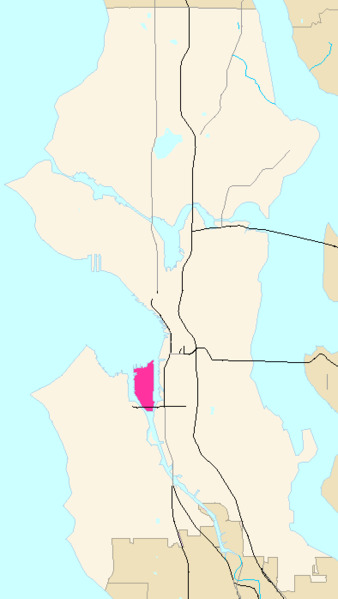 Harbor Island is a man-made island in the mouth of Seattle, Washington's Duwamish Waterway where it empties into Elliott Bay. Built by the Puget Sound Bridge and Dredging Company, Harbor Island was completed in 1909 and was then the largest man-made island in the world, at 350 acres (1.4 km²). Since 1912, the island has been used for commercial and industrial activities, including secondary lead smelting, shipbuilding and repair, bulk petroleum storage, metal fabrication, and containerized cargo shipping. Warehouses, laboratories, and other buildings are located on the island. Fishermen use the waters around Harbor Island for shellfishing, crabbing, and fishing. Harbor Island was made from 24 million yd³ (18 million m³) of earth removed in the Jackson and Dearborn Street regrades and dredged from the bed of the Duwamish River. Harbor Island lost its title as the world's largest artificial island in 1938 with the completion of Treasure Island in San Francisco Bay, at 395 acres (1.60 km²). It regained the title in 1967, at which time its area had increased to nearly 397 acres (1.61 km²), but has been far surpassed in area since; as of 2004 Rokko Island in Kobe harbor in Japan is over 3.5 times larger. The official land area as reported by the United States Census Bureau was 406.91 acres (164.67 ha), at the 2000 census. There was also a permanent population of three persons reported on the island at that time. The West Seattle Bridge passes over the island, as does the newer Spokane Street Bridge, a swing bridge across the West Waterway. The East Waterway is crossed by a causeway supported a few feet above high tide by pilings. Todd Pacific Shipyards is based on the island, which is also home to some of the Port of Seattle's terminals and the publishing branch of The Mountaineers (Mountaineering: The Freedom of the Hills, among others). This is the industrial docks area. 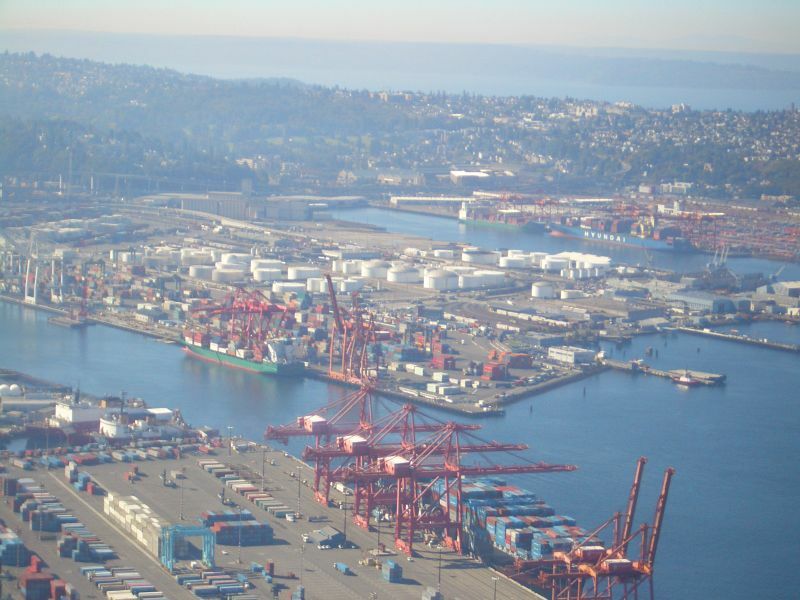 Seattle is a major international port. This is where the ships come in.